As you are well aware our celebration of the 500th anniversary of the Reformation is underway. 2017 marks the 500th year since Martin Luther nailed 95 theses on a church door in Wittenberg which forever changed the world. As a Lutheran I view the Reformation as a very significant event. Not because Luther was such a great person, but because of what God accomplished through him and the other reformers. Through the ages the Christian church had deviated far from its original roots and from God’s Word. God used Martin Luther to rediscover the unconditional gospel of Jesus our Savior and replant the true church on the truth, God’s Word. It’s important to remember the past and learn from it. 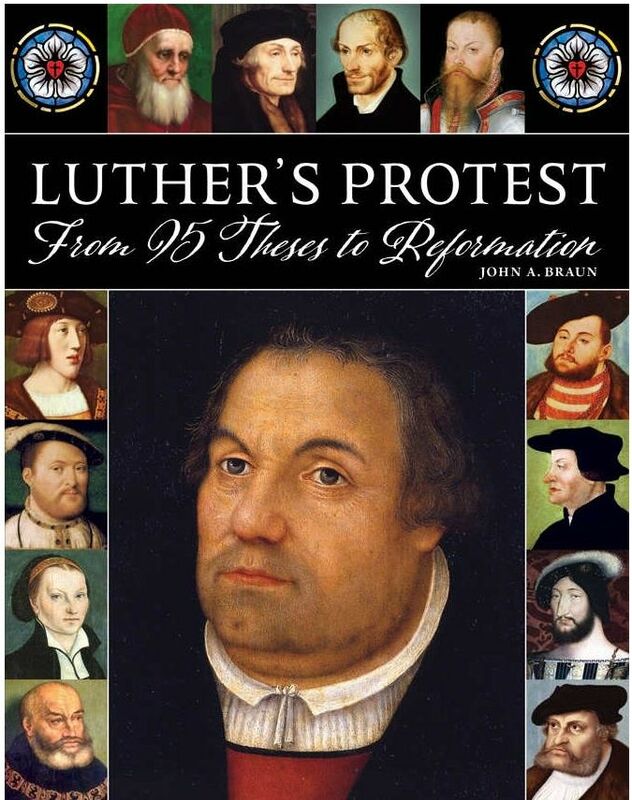 To that end Northwestern Publishing House has released a new book about Martin Luther and the Reformation called “Luther’s Protest.” Not only is this book written from a faithful Lutheran perspective, it is also arranged in an easy to follow organization. Each chapter is about a place and date in the timeline of the Reformation. The reader will find himself almost living through and experiencing the time between 1506-1555. When was the most crucial hour of all of history? A great battle? A great achievement? Something that changed the course of human events? What can claim to be history’s most crucial hour? For the Christian there is one hour that changed everything. 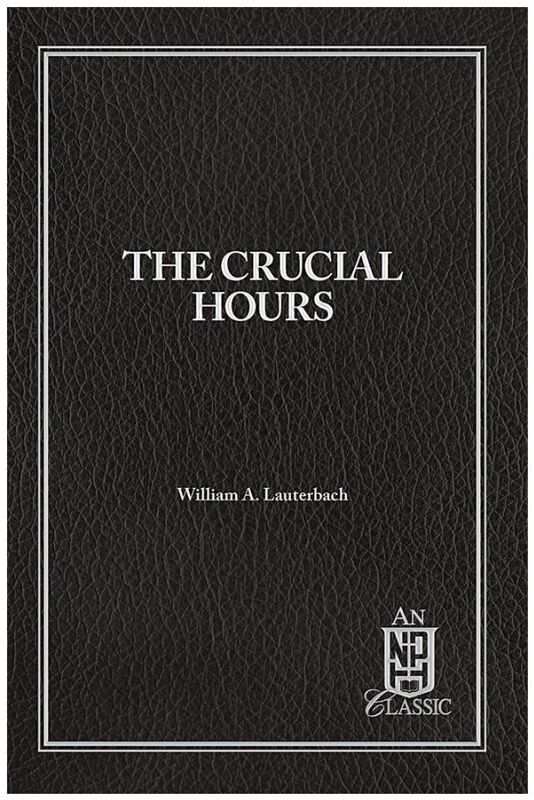 This book written by William Lauterbach originally published in 1977 but republished by Northwestern Publishing House in 2013 provides an excellent commentary on the hours surrounding Jesus’ crucifixion. The reader will find an abundance of insights that will help him appreciate the depths of His Savior’s love as seen so clearly at the cross. The book is arranged to cover a composite of all the gospel accounts about what happened during that first Holy Week. Since the original publication date was 1977 the reader will soon notice the somewhat dated language that is used. Nevertheless, the reader will still be able to easily read the book and the content of the book will quickly cause the reader to quickly forget about the dated language. What do you know about the Islam religion? Did you know that Islam is the fastest growing religion in the United States? How would you feel if a Muslim moved next door to your house? What can you do to reach a Muslim with the truth of Jesus our Savior? At St. Mark’s we just finished going through an Adult Bible study on the Islam religion to understand it better and learn how to reach a Muslim person with the gospel. This book has provided much of the insights for that class. The book gives a nice overall picture of the history of Islam, the beliefs and practices of Islam and an evaluation of Islam from a Christian perspective. A unique aspect of this book is that it was written by a confessional Lutheran professor. 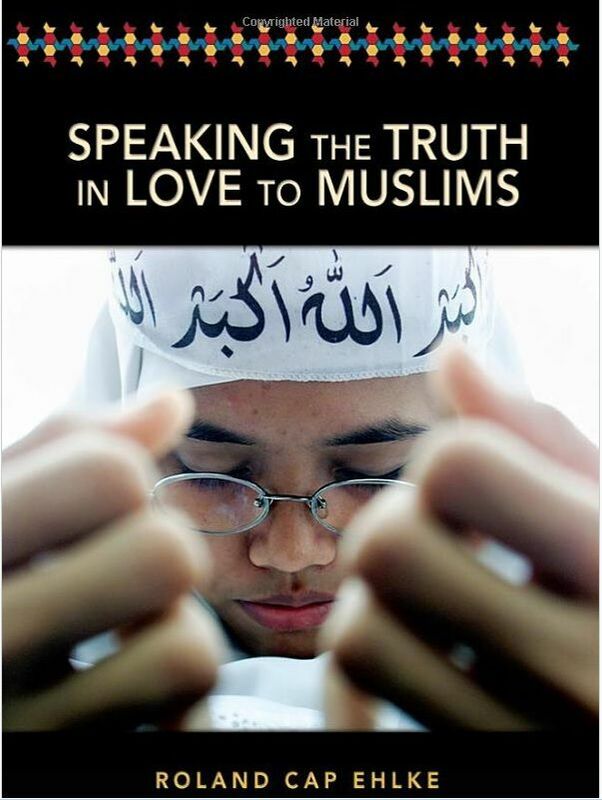 If you’re looking for a nice resource to have in your possession for reaching a Muslim neighbor, co-worker, relative, acquaintance, or friend, this book provides an excellent option. Baptism is a gift from God. So why is it that Christians cannot agree on how and when it should be administered? Some think that baptism is not beneficial to a person until a person is old enough to believe. This makes sense to them since infants can’t believe….or can they? Where does our faith come from? Our efforts from listening to and reading God’s Word or is it a gift from God also? Is immersion the only way to be baptized? Wasn’t Jesus immersed when he was baptized by John? Well, what does God say in his Word? Who is it that works faith in one’s heart, the Holy Spirit or oneself? When does the Holy Spirit start working faith? These and many more questions are answered in Dr. Das’ journey through God’s Word to see what God’s will is for baptism and for little ones. Little ones are important to God too. In Mark 10 :14,15, Jesus told his Disciples not to hinder the children but to let them come to him for to such belongs the kingdom of God, and, whoever does not receive the kingdom of God like a child shall not enter it. This and many more bible verses are discussed in detail to help one understand: why baptism is important for all regardless of age, when to baptize, and why only one baptism is needed. 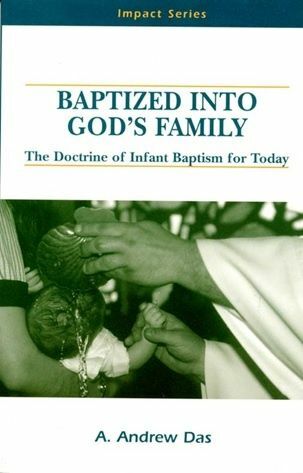 In this book, interestingly, circumcision is compared to baptism. Seals are used by people or groups of people as a means to separate and identify them from others. In the Old Testament, the people of Israel used circumcision of their men and boys as their seal to identify Israel’s family members. Infant boys 8 days after birth were also circumcised. So, in the Old Testament God brought infants into his family of believers. The Christian church also has a seal, it is water baptism. God brings adults and infants into his family through water baptism. Through water baptism, God promises salvation and forgiveness of sins. This is an amazing blessing from God and He entrusts his church as a means of grace. Since God promises salvation and a washing away of our sins in baptism, why would we keep such a blessing from an infant. God is doing the work through the Holy Spirit of giving us faith, not us. Baptism is a gift from God to us as is our faith. So, if God tells us in his Word how we should receive his gifts, why are there still disagreements about baptism? We, as sinful humans, get in the way of God’s will for us. We want to use human reasoning to assure ourselves that we are saved rather than trust God’s power. Sinful human reasoning erodes trust in God and leads to rejection of his Word. When discussing baptism with others it must be done out of love and not with the sledgehammer effect of the law. “People convinced against their will are of the same opinion still.” The Lord needs to prepare a person’s heart to hear his will. It is not for us to question the harvest, but only plant the seed and pray it be fruitful. God works in mysterious ways and according to his time. We need to keep growing in his Word and go with the Word to others trusting God’s perfect will be done. Why did Caesar Augustus issue a decree that a census should be taken of the entire Roman world? Was the first Christmas a “white Christmas” with snow? Why is Christmas celebrated on December 25? What else do we know about the shepherds and the wise men who visited the newborn Savior? 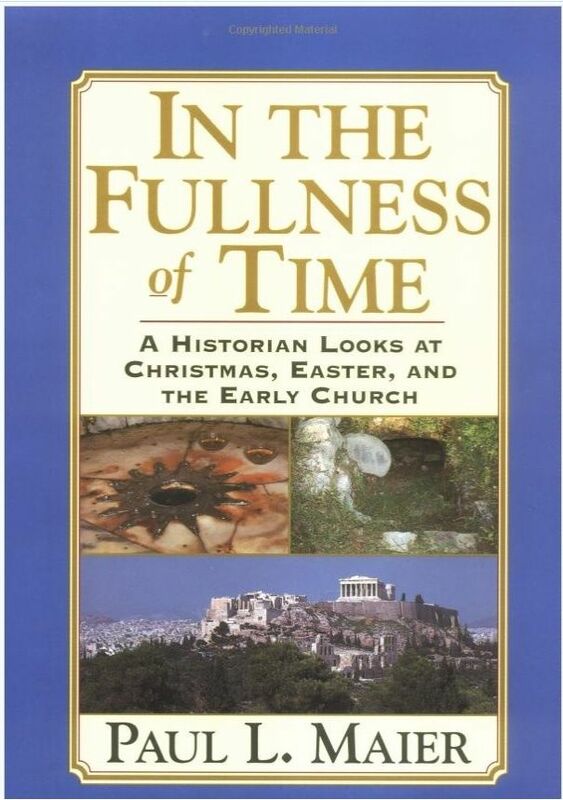 This book – In the Fullness of Time by Paul Maier – takes a look at these questions and many others from the perspective of a historian. He gives background information to the details of the Christmas account that we have in Scripture. He brings in details from archaeological finds and helps shed more light on the context of the Christmas account. But wait! There’s a bonus! This book doesn’t just look at the Christmas account, it also takes a look at the First Easter and the Early Church as well. As we begin another church year consider picking up a copy of this book and digging a little deeper into the history of Christmas, Easter, and the early Church. “Christmas, Lent-Easter, and Pentecost were chosen as the primary frames in this book for several reasons. These are the three greatest Church festivals – great because they celebrate the most crucial foundations of Christianity in the Incarnation and Nativity, the Passion and Resurrection, and the explosive birth and growth of the Early Church. The New Testament provides progressively detailed information on each and so does history: facts, rather than ‘cleverly devised myths.’ Christians claim that all three extraordinary episodes occurred on a divinely arranged schedule ‘in the fullness of time.’” (xviii). A believer’s faith is never really static or plateaued. Your faith is either increasing as God comes to you through His Word and Sacraments or it is backsliding as you stray further away from God’s means to strengthen your faith. Every believer wants to grow in his or her faith. Yet, while we are in this world we will continue our saint/sinner struggle. Part of us, our sinful nature, wants us to run away from God and His Word. We also live in a world in which Satan has incessantly worked to spread and promote false teachings that seek to undermine our faith and rob us of the comfort and freedom of God’s truth. God’s Word is the only place that we will receive strength for this ongoing battle. 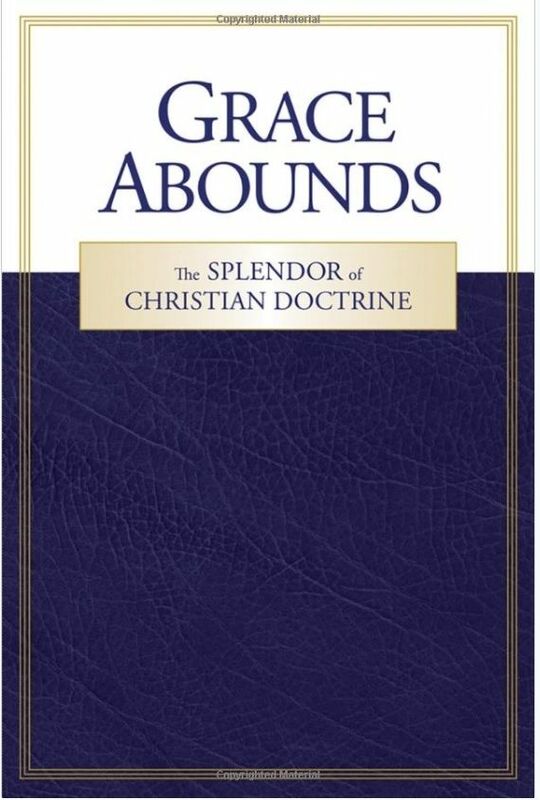 Grace Abounds is a book composed by Professor Daniel Deutschlander who served our church body for many years teaching and training future pastors. In this book Professor Deutschlander digs deeper into the major teachings of Scripture giving the reader a fuller knowledge of what God wants us to know and believe from His Word. His stated purpose in this book is to provide a resource for High Schoolers and lay people to further their catechetical instruction in God’s Word. Many students who attend a Lutheran High School have regular doctrine classes that further establish their confirmation instruction. It is my hope to one day start such a course for high school students and beyond at St. Mark’s for teenagers and adults who are not or have not attended a Lutheran High school. This resource would likely be the text book for such a course. It is my recommendation that you purchase a copy of this resource and use it along with your devotional reading of Scripture for a year. Editor’s Note: This book is available for purchase at amazon.com. Please do not be put off by the $42 price tag… as a 600 page hardcover, it is substantial both in size and content. Earlier Book of the Month recommendations can be viewed on the archive page.